Making gooey slime out of cornflour for children to play with sounds like a regular happening in an early learning service. But, doing so placed this Australian early childhood educator in a tricky situation. And when the diploma-qualified educator has worked since in other services, none have “had a policy to reflect this, but all … seem to have a different take on this,” she said. Smith is not alone. There’s plenty of fence-sitters out there eyeing the smorgasbord of views, policies and practices about food play in the early learning sector. Possibly at home, children are told not to play with their food, so educators may not be the only ones confused. Educa delves into the issue to canvass the views. 3.3.2: Children are supported to be environmentally responsible and show respect for the environment. 4.2 Educators, co-ordinators and staff members are respectful and ethical. 6.1 Respectful supportive relationships with families are developed and maintained. These standards don’t give a clear direction about food play. However, the EYLF for Australia, Belonging, Being and Becoming, trumpet play-based learning as important for children. Meanwhile, on food, it says this: “Good nutrition is essential to healthy living and enables children to be active participants in play. 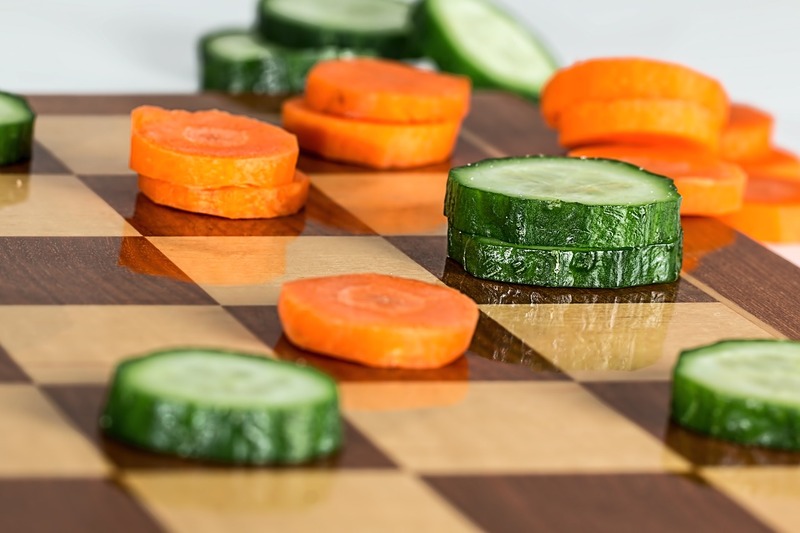 So, educators must read between the lines to figure out the best approach to embracing – or not as is the case – children playing with food in their service. Children are encouraged to engage with sensory play with their food through touch but taste and eat it afterwards. These experiences are a form of inquiry that helps build their knowledge and be more inclined to try different foods. The toolkit also details how food play and cookery can support learning in the early years at particular ages for personal, social, emotional and physical development as well as communication, language, literacy, mathematics, understanding the world plus expressive arts and design. Think edible crafts, macaroni collages, coloured pasta necklaces, herbs as paintbrushes, potato prints or flour for playdough. That’s not an exhaustive list. In a recent Educa webinar, Nurturing Inquiry-Based Early Learning Using Creative Environments, presenter Susan Stacey spoke about food play. She described children slicing up and exploring vegetables hygienically before they were popped into a soup which they ate. “With issues of food security, we didn’t want the food to be used in a wasteful way,” she said. (To access the webinar replay, visit here). So, while Stacey offers some parameters to food play, other educators go wider. One educator advises accepting that some food products and water are in lots of resources that the early learning sector uses. She advises not to take the questions about food play’s parameters “too far”. Whether your nation suffers from food insecurity or there are children enrolled whose families are living in poverty, the issue of playing with food can divide people. The Early Years Careers website says it can be “morally wrong” to use food for messy play. It may even lead to bad table manners. “Some practitioners … feel the food could be better used to support families and children in need and that playing in food is simply wasting it. They believe children should be taught the value of food and not to be wasteful and take for granted the lovely foods some families are able to eat and the setting provide,” says the site. World hunger statistics from the Food Aid Foundation will help put food play into a different context for you. It says across the globe, about 795 million people – about one in nine people – don’t have enough food to lead a healthy active life. In developing countries, 12% of the population is undernourished. Two thirds of people living in Asia lack enough food, making that continent the globe’s hungriest. Meanwhile, one in four people in Sub-Saharan Africa is undernourished. More than three million children under age five die from poor nutrition. Despite this, the foundation says one third of food is wasted. It’s calling on the world to end hunger in the world by 2030. Its report, The State of Food Insecurity and Nutrition in the World 2017, says while conflict causes food insecurity and under nutrition, the reverse isn’t that clear. The foundation says while child malnutrition rates are slowly decreasing, there’s a rise in overweight and obese people in most parts of the world. In New Zealand, educators from the first nation – Maori – have hit out against using food for play despite its potential as an educational tool. One such educator is Judith Nowotarski of the New Zealand Educational Institute. She says flour should go into bread, not be wasted on play dough. “I don’t think any culture intentionally goes in and says it’s ok to play with kai, it’s ok to play with food or play with ingredients. I don’t think anybody does that in this day and age. We’ve got to think about sustainability,” she says. Some Maori early learning services no longer use food, including play dough, for play due to it being “culturally insensitive and a waste”, says Nowotarski. Meanwhile, US researcher ShamAh Md-Yunus begins her paper with this powerful anecdote about the cultural insensitivity of food play. “Mei did not understand why the children were playing with rice. At home, her mom cooks rice for meals. She refused to play with these children because they were playing with rice. She knew that rice was for eating, not for playing,” she writes. Md-Yunus offers advice for educators using food as play materials. She says they need to culturally sensitive, know about the children’s cultural backgrounds and not make assumptions from their own cultural beliefs about the use of food in activities at their service. Where a service’s approach clashes with the child’s family, there’s a risk the child will be stressed. She says: “In supervising of pre-service and student teachers in preschool settings, I found that almost all the classrooms had rice in the sensory table. I saw that while the children were playing with it, sometimes the rice scattered on the floor. The teacher swept it up and put in the trash can. Where Does Your Service Stand? So, food play is not a cut and dried issue. There are possibly endless ethical considerations about food play, writes recently retired educator Anne Peters on Community Early Learning Australia’s blog. “We shouldn’t be afraid to explore them both widely and deeply. Aspects of ethics for food play decisions include being conscious of principles such as biodegradability, reducing waste, recycling potential and sourcing of the product including fair work labour laws,” she writes. There are no single correct answers, she says. Each service needs to determine its stance on the issue and ensure all educators are on board and parents understand it, too. Perhaps you road test your decision in your service, consult with families and eventually enshrine it in a policy. But make sure you keep your relief educators in the loop, so they’re not creating a food mess in more ways than one.